Many of our enrichment activities have students of multiple grades involved allowing the older and younger students not only to interact, but to work together for a common goal. 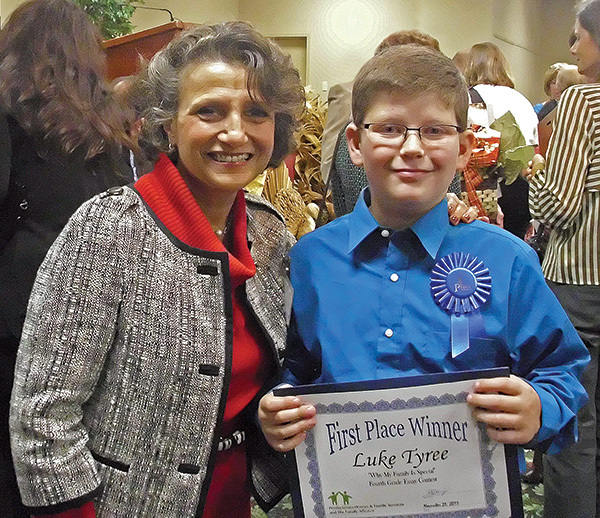 For instance, each year the students participate in a Social Studies or Science Fair. Each grade level focuses on one aspect of study. 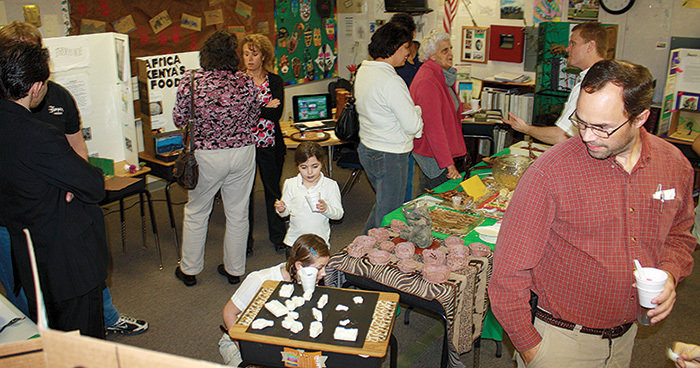 For the 2012-2013 school year, each grade studied a different country (Canada, Italy, Australia, Greece, or Japan) and created specific projects and presentations to present at the school Fair for parents. We also have older students sometimes read to the younger students, which we call Reading Buddies. Older and younger students are often on the playground or in the gym together during the school day. 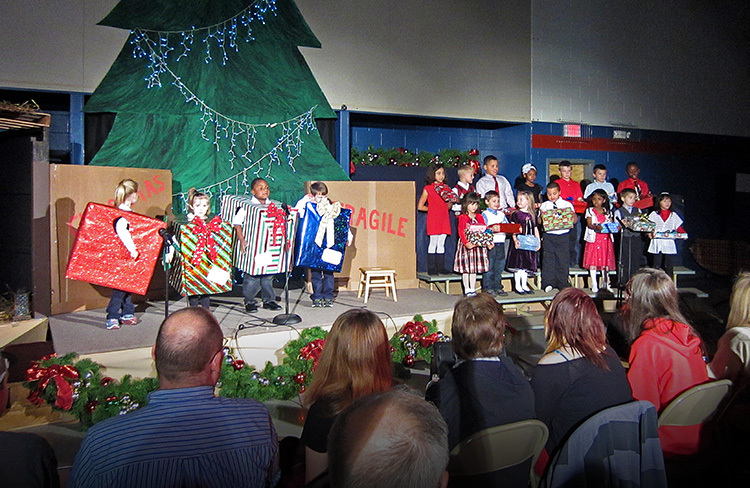 Students of every grade level participate in the annual Christmas play. Hours are spent with the different classes working together to make the play a success. Parents have said that it is one of their favorite events of the year. In addition, our 5th to 8th grade students are taken on Community Service projects once a month in order that they might learn from hands-on experience how to make a difference in our community and share God’s love through service. Each of the grades also have multiple field trips throughout the school year, which range from visits to the zoo to visits with the Mayor. 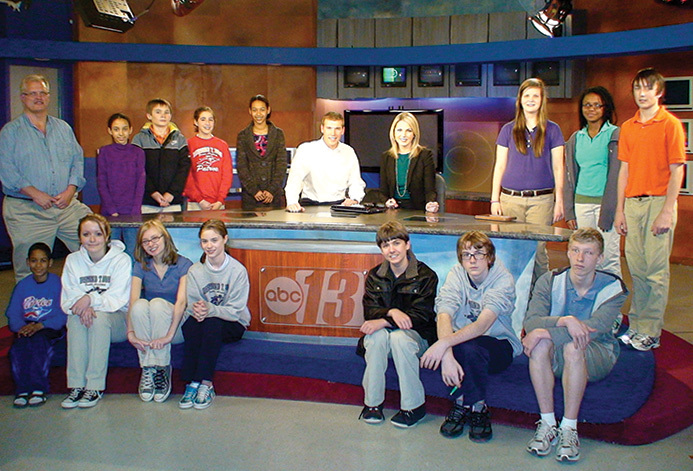 These trips offer interactive, real-life learning experiences for our students. Check out our News blog for many posts about our student enrichment activities, as well as our many extra-curricular activities. Also, for detailed information about our Outdoor Education, click here.